"I have put everything that I have in to making this the last house that I will ever have to live in,” said Joy Fritz. She invested her savings into a Seminole Heights home-- a place to rest and relax in retirement. "The next house will stay but everything down to MLK will be demolished and they will put in a retention pond with a 6 foot barbed wire fence around it,” said Fritz. Behind her home, Fritz says her neighbors homes would be torn down and replaced by a 30 foot wall. "So the value of my house has gone to hell,” she said. Which is kind’ve where Tampa City councilors say they'll tell FDOT's plan to go, if it isn't changed in the next few months. 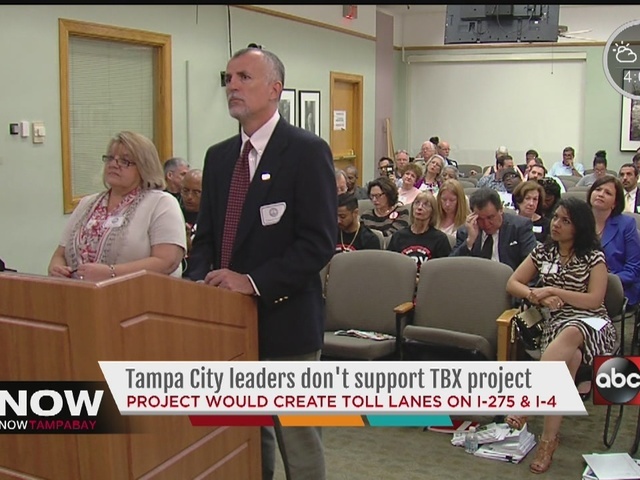 "If we continue with the same mindset, we will all be living under the Expressway,” said Tampa City Council member Charlie Miranda. "What my plea is to DOT is to start rethinking the details of how we're going to get this done,” said Tampa City Council member Harry Cohen. 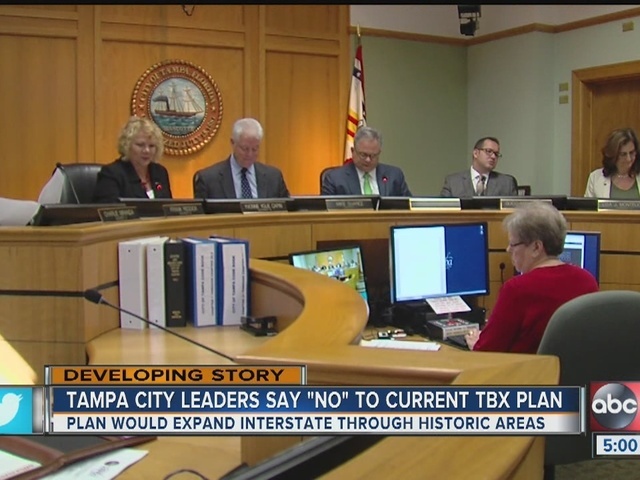 "I hope you will come back with an alternative plan instead of the one you have on the table right now,” said Tampa City Council member Frank Reddick. Every city councilor expressed deep concern about the downtown interchange project that would affect roughly 140 homeowners and 33 businesses. The expansion would dissect parts of old and southeast Seminole Heights, Tampa Heights and V.M. Ybor. "It's going to totally devastate the neighborhood which has finally recovered from the interstate going through in the first place. How many years ago was that?" said Seminole Heights homeowner Kathie Aagard. FDOT planned TBX 20 years ago but this 71 year old is learning it could change her future-- what she hoped would be her best years. "You know I've made it a comfortable safe place where I can die, live until I die,” said Fritz.